The year 2018 is nearly over, soon everyone will be bustling around the house, getting everything ready for Christmas. Okay, not everyone. It is just how I recall this time of the year as I was growing up in Central Europe, where Christian tradition is a lot more pronounced, especially over Christmas. Attention! Do not be fooled by this seemingly unrelated introduction. I have mentioned Central Europe and its traditions deliberately as it may play a decisive role in the future of the European Union as we know it. This decade has been somewhat rough for The European Union, which seems to be in a very deep crisis. Euro, immigration, economic decline, the sovereignty of member states- these are only a few issues the EU has been dealing with lately. People’s disapproval for recent policies reflects the rising popularity of eurosceptic parties in member states like Romania, Austria, Hungary, Poland or Italy. (Szczerbiak, Taggart 2018). Obviously, the most evident example of rising Euroscepticism is Brexit. It has been a bone of contention for most political commentators, who see it either as a one-off case because the UK has been bestowed with a unique geopolitical location, or it may initiate a further erosion of the EU. Judging from recent tensions between Brussels and Poland or Hungary, the crisis can advance quicker than we think. The reason behind the conflict between Brussels and countries of central Europe is quite simple: differences in moral values and traditions( Witte, Birnbaum, 2016). The common error made by the European political establishment is that they look at the countries of the former Eastern block through the ‘western lenses’. In other words, the values and mechanisms that apply to fully fledged democracies of the West are being imposed onto fundamentally different societies of the former Eastern block ( Jan Kubik, 2017). Let’s have a look at the situation in Poland or Hungary. Those two countries have been oddly reluctant to accept the supremacy of the EU law over domestic legislation. Surprisingly, this rebellious attitude has resulted in increasing support of the society. Historically speaking national sovereignty is perceived differently in Poland and any restrictions on this matter will fuel fierce protest from the Polish People. What is more, Poland still remains one of the top pro-EU countries (The Guardian, 2016). I am not saying that Poland should have privileges, but certain claims made by the EU officials that Poland owes something to Europe (Poland first stood up against Nazi-Germany, lost sovereignty and millions of citizens) are simply not the best examples of statecraft and will cause nothing but rage (Khan, 2018). It is difficult to foresee if those issues will be resolved as the situation is dynamic. Nevertheless, is there a real alternative within Europe? The countries of former Eastern block, despite minor differences, have always had a similar mindset, interests, and values. In the 1990s Czechia, Slovakia, Poland, and Hungary formed an alliance aimed at fostering cooperation and stability in Central Europe called Visegrad Group. The project was not intended to compete with the EU on any level, rather support it (http://www.visegradgroup.eu/about). Secondly, the Three Seas Initiative which was established in 2016 in order to facilitate trade with the U.S, improve infrastructure and education in countries of the Baltic, Adriatic and Black sea ( Reuters, 2017). It is worth noting, that in case of profound differences between the ‘old member states’ of the EU and countries of central Europe, the Visegrad Group combined with Three Seas Initiative can make up a solid foundation for the alternative organization in the East of Europe. This might look like a deeply pessimistic picture as a further unraveling of the EU would entail massive changes within the continent. Nonetheless, since the U.S is feeling threatened by the perspective of establishing the EU army, it would be reasonable to assume their support for this project (Hershenhorn, 2018). A typical representation of Africa. But is it fair? Foreign aid is a means of helping impoverished nations, for decades now host countries have got involved in humanitarian activity through giving aid to poorer countries. This has allowed to diplomatic relations between countries to flourish due to this, and the recipient country as a token of appreciation has always opened its doors to its giver by allowing them to use their military sources or letting them use their country as a base. Financial aid has allowed some less economically developed countries to invest in improving their economies and their countries, such as their infrastructure or injecting money in their education. It has also allowed them to eradicate common diseases in their countries. Corruption; the enemy of progress. Many poor countries tend to slip through the note with regards to their accountability and where their money is spent, but not anymore. Exhibit A, Zimbabwe. Robert Mugabe, the president of Zimbabwe, also known as the ‘Man who ruined Zimbabwe’. Money that was given to the country as aid, went through Mugabe and his regime before it was then used to ‘benefit’ the country.With reports of money going missing from the Reserve Bank, and Mugabe’s closest allies being quite closely linked to the bank itself, it’s quite clear the funds went towards him and his families lavish lifestyles. His son commonly reported to be wearing expensive watches, and his first lady always jewellery shopping, the financial aid was only pocketed by a few individuals rather than its main purpose, eradicating poverty in the country. Foreign aid is clearly not always put to good use and can be used to contribute towards wealth inequality when placed into the hands of corrupt leaders. Relying on aid won’t always be the answer to a progressive economy, if a country continued to receive a said amount of money from a host country every year, that recipient country has now become dependent on the funds coming in externally rather than investing in its work force to boost their economy. Communities have now also become dependent on the money that is donated, they’re not quite used to their own livelihoods. That is one of the main downsides to foreign aid, reliance. This also feeds into western-centralism. The dependency theory applies here; “third world” countries are not underdeveloped in their natural state, rather underdevelopment is caused by developed nations, one way in which is through aid. Rather than collecting revenue from its citizens through taxes for example, governments receiving aid instead rely on foreign governments. This is corrosive and breaks ties between the government and its people, states Angus Deaton, economist and Nobel prize winner from Princeton University (World Economic Forum, 2015). A Zimbabwean blog, The Patriot, states that “Africa is a new frontier from which to generate vast profits which in turn can be used to reinvigorate ailing Western economies.” Africa is too often just seen as a monolithic continent with vast resources up for grabs, and where cheap labour with few regulations can be obtained, rather than a prospering continent in and of itself. Dependency can be seen in Zimbabwe as it is currently trying to pick up the pieces left by Mugabe. A current downfall in Zimbabwe’s economy was initially caused by a tax hike in electronics as a means to collect more revenue, yet the basis for this is down to Mugabe’s monetary policies. Left without any major investment, the new Zanu-PF party is scrambling for foreign investment; “Zimbabwe very much needs to access multilateral funding for its debt and if that doesn’t happen we will be in crisis,” states Mutodi, a deputy foreign minister (Guardian, 2018). There has been a hike in food and medicine prices, school fees, as well as outbreaks of infectious diseases such as cholera. However, despite the clear need for aid, some recognise that pumping more aid into the economy might not be the smartest thing to do. Biti, former finance minister states “You can’t reform without reformers. We need a paradigm shift from predatory to inclusive politics. You can give this country billions of dollars, but you won’t have resolved anything. All you will have done is entrench the regime.” (Guardian, 2018). No other statement can sum up the argument better. Burke, J. (2018). Zimbabwe’s economic crisis will deepen without aid, ruling party warns. Today we are wondering how it is to be a labor force in the process of globalization and open competition on the world market.What does it means? Does this lead us to a greater possibility of looking for work and gaining a protection at work? These concepts depend on which part of the world we are living, and in which state, because many of us are often in a situation that they have to work longer than full-time with their employer. Sometimes this kind of work is paid, and sometimes it’s not. What is always a fact is whether this work contributes to productivity and how much really such work is necessary in the conditions of free competition. There is certainly no correct solution. What leads to a very inconvenient position most workers are times of crisis and situations that force most workers to act in accordance with the conditions prescribing to them, even if their labor law has been imperiled. It is a game without rules, the state would certainly have to regulate the behavior of employers towards employees. It is not, of course, the goal to exploit workers simply because it would contribute statistically to reducing unemployment in the country. Law in developed countries is very well regulated and working conditions, so it is actually a question of how underdeveloped countries can manage to regulate their rights for workers. In the conditions of globalization, these people will, because of their unemployment in their countries, go abroad to developed countries and work illegaly or will consciously fall into a problem with an employer who can threaten them. The development of other parts of the world with the help of institutions such as the IMF and the World Bank and their strategies to open their markets lead exclusively to positive solutions, and can even produce political instability due to great dissatisfaction in the country. One should be cautious in giving advice on how to influence states to pursue their policies, and in the end, no one is thinking about that little worker who always turns out to be out of the “big” decisions that cut his fate out of it’s safe cabinet. In the end, it is always the most important effective implementation of laws and, of course, the protection of workers guaranteed by national and international acts. 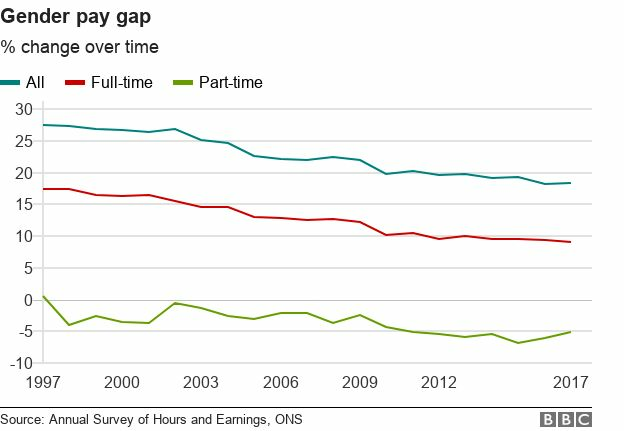 The Guardian, More regular work wanted by almost half those on zero-hours, oct 2018, Avaliable at: https://www.theguardian.com/uk-news/2018/oct/03/regular-secure-work-wanted-by-almost-half-on-zero-hours-contracts-flexible-gig-economy, Accessed at: 12.12.2018. Financial Times, Booming US labour market draws new jobseekers, may, 2018, Avaliable at: https://www.ft.com/content/61a6c41e-8122-11e8-8e67-1e1a0846c475 Accessed at:13.12.2018. What is the most urgent issue in GPE today? Overpopulation has been an issue for some time now with many arguing that it is making the economy harder to grow. As of 2018 there are around 7.6 billion people on this planet and almost half of them are living in poverty. As the lifestyle around the planet got better with medicine, food and many other resources people started to have more kids as they knew that it would be easier to take care of them, in 1804 was when we first reached one billion in population form then on your could see how medical advancements increased making so much easier for couples to have children. There is also the factor that couples would have children to work for them as free labour when they became capable to do takes, if you look at 19th century there was a lot of family owned businesses especially in the United States as migrants just came over form Europe. This increase in population was good for awhile meaning that more people could work less stress added on just one person the workload could be distributed better and evenly making life easier for everyone. For a long period of time this growth was great as a lot of people did manual labour like work in the coal mine, chopping wood down and many more professions that are not available today. However, the transition within the new century made people question is rapid growth within the world, near the end of the 19th century children started to work in the coal mines which was now know to give you the black lung and the time most likely end in death, for grown men the process took longer and their bodies have developed already you could have work in the coal mines for 10 years but when you looks at a child it is still in developing which makes the body harder to cope with the toxins down there. With all of this growth happening it has made it harder for people to find jobs decent ones anyway, this was a problem in the 20th century and it is still a even bigger problem in the 21st century with nearly half of the population living in poverty this does not really include the western countries like USA and Europe whilst people int those countries are also living in poverty they have a better life style that most of the world, I am comparing this to Continents like Africa and most of Asia. With Asia becoming more of prominent power with countries like China and Japan, the economic powers have shifted in a way as China make for of products that we use in our day to day lives it has unbalanced the structure of the western economic system as the western countries have to rely on them to produce products such as phones, clothing and general products that everyone needs nowadays. This new system which is not fully controlled by the west can sound amazing to someone that does not live there however the sad fact is that because of overpopulation people get paid considerably less than they should making this huge gap between the rich and the poor. Allowing this to happen has made the world into a cash hungry machine with nearly every single company wanting to produce products at the cheapest level whilst charging an extortionate prices. This has manly come from the west, the Global Political Economy book by Ravenhill in a way address the process of economic today saying that the process of economy today is not moving around but it is just standing still, which can make it very hard to sustain especially the distinction of domestic and world economy increasingly problematic. I believe that what Ravenhill is trying to tell us in that without movement in the economy there becomes this unbalance with is what is happening right now with the overpopulation as people are not getting jobs or any kind of work. This can have a huge impact on the future of the economy as countries will have take care of people who can not make a living, making harder to help the rest fo the country and the economic market. The situation in Venezuela calls for desperate measures from the international community and neighbouring countries. This region of Latin America suffers from prolonged economical, political and humanitarian crisis that has left this nation’s populous in a distraught state, forcing a significant proportion to abandon their home country and seek refuge in others. As the extent of this refugee crisis came to light, it is said to be the biggest migration crisis in Latin America’s history, now called the Venezuelan Exodus. The country’s long haul of political crisis has driven a multifaceted economic and social emergency with the rising threatening consequences to the large population. Venezuela has suffered a precipitous economic decline under the current government/ Political system, which has left one the historically richest economies in Latin America in a decrepit state. Strangled by the implosion of an unstable governing body, has led this country into major financial ruin. As hyperinflation, corruption and poverty increases, food and financial security is threatened, rendering it almost impossible for the common man to meet their daily living requirements. As the government fails to create adequate practical solutions, the current political climate has impacted the economy in an almost irreversible manner by falling to a danger zone. To further elaborate on this ongoing event, this blog will be segregated into 3 parts. Part 1 would discuss the reasons and events that lead to the Economic crisis in Venezuela, Part 2 will explore the Causes from the Political crisis of the country and Part 3 will explore how the scale of the phenomenon, has led Columbia to affirm their solidarity with Venezuela and put forward the role for help in such a humanitarian and economic emergency. The economic downfall in Venezuela had reached a peak level of intensity since the Nicolas Mauro’s came into power in 2013. Venezuela’s macroeconomic status began to dwindle even before the price of oil began to drop in 2014. (Evan Ellis,2018) Significant drops in imports have created major shortages in food and medication. Within the first few months of 2016 imports were reduced by 40%, a 60% drop from the same period in 2014 which was a 40% drop from the imports in the first quarter of 2012 (Sanderson & Schipani 2016). An overvalued currency and demanding prices on basic goods creates the ideal breeding ground for corruption. As a result of Venezuela’s economic crisis, smuggling routes to neighbouring countries have begun to emerge along with fierce competitions, which has been an immense concern. The opportunities for smuggling is further increased as the variety of smuggled goods increases, primarily caused due to the exchange rate and price differentials. One example is the smuggling of cattle from Venezuela to Colombia, as meat sells at a much higher rate, almost three folds in Colombia. (Crisis group,2018). As the price of oil, which was one of the major commodities that provided valuable income for the country plummets, and the additional economic mismanagement by consecutive governments over the years has created the highest inflation, skyrocketing poverty index followed by severe malnourishment and disease, has spurred the out migration of the people. The economic and humanitarian predicament of the nation along with mounting political oppression, have forced countless Venezuelans to flee the country. The World Bank has estimated that as of 2018, over a million Venezuelan reside in Colombia. To comprehend the reason behind Colombia’s welcoming and hospitality towards their neighboring incoming refugees lies in a key part of its history. During the 18thcentury, Columbia and Venezuela were one nation known as ‘Gran Colombia’, which eventually drifted apart giving rise to the modern states of today. years later, Columbia began to experience one of the worst with guerrilla wars. More than seven million people were displaced during this period of unrest. As Columbians fled the war-torn region seeking refuge in Hundreds and Venezuela, where the economy was booming, the two nations reunited. Venezuela continued to offer refuge and welcome Colombians fleeing from the Guerilla war as well. Prioritizing the prompt incorporation of migrants into the job market, modifying weaknesses brought about by poverty, as well as prompting a dialogue on local, national and regional politics are essential for a successful improvement. The Colombian government has responded swiftly and proactively, taking coordinated measures to facilitate the efficient settlement and incorporation of migrants into their new lives. It could be said that Venezuela’s collapse is primarily instigated by human creation. The product of misguided political and economic choices and the determination of individual leaders to hold onto their seat of power. Venezuela has the natural and human resources to recuperate, but it will not be able to do so alone. Colombia has responded proactively and has assigned significant assets to help both migrants and the population living in the receiving areas. However, the degree of this relocation entails a better assurance from the international community. The slower the crisis awaits, the slower it will get. World Bank. (2018). Despite Challenges, Venezuelan Migration into Colombia can Boost its Growth. [online] Available at: https://www.worldbank.org/en/news/feature/2018/11/06/despite-challenges-venezuelan-migration-into-colombia-can-boost-its-growth [Accessed 13 Dec. 2018]. Council on Foreign Relations. (2018). A Venezuelan Refugee Crisis. [online] Available at: https://www.cfr.org/report/venezuelan-refugee-crisis [Accessed 13 Dec. 2018]. Crisis Group. (2018). Venezuela. [online] Available at: https://www.crisisgroup.org/latin-america-caribbean/andes/venezuela [Accessed 13 Dec. 2018]. BBC Mundo, (2016). “Cuales son los cinco países del mundo con mayor inflación”. [online] Available at:<http://www.bbc.com/mundo/noticias/2016/02/160218_inflaction_venezuela_numeros_listado_global_amv&gt; [Accessed 13 Dec. 2018]. Smilde, D. and Pantoulas, D. (2016). The Venezuelan crisis, regional dynamics and the Colombian peace process. [online] NOREF Norwegian Peacbuilding resource centre, pp.1-7. Available at: http://www.css.ethz.ch/content/dam/ethz/special-interest/gess/cis/center-for-securities-studies/resources/docs/NOREF-Venezuela%20and%20Colombian%20peace%20process.pdf [Accessed 13 Dec. 2018]. Swp-berlin.org. (2018). Colombia’s Peace and Venezuela’s Turmoil. [online] Available at: https://www.swp-berlin.org/en/publication/colombias-peace-and-venezuelas-turmoil/ [Accessed 13 Dec. 2018]. The Collapse of Venezuela and Its Impact on the Region. (2018). [ebook] Dr. R. Evan Ellis, pp.22-31. Available at: http://www.addisonlibrary.org/sites/default/files/The%20Collapse%20of%20Venezuela.pdf [Accessed 13 Dec. 2018]. Hrw.org. (2018). The Venezuelan Exodus: The need for International Protection and the Region’s response. [online] Available at: https://www.hrw.org/sites/default/files/report_pdf/venezuela0918_web.pdf [Accessed 13 Dec. 2018]. Moodysanalytics.com. (2018). In No Good Hands: The Venezuela Crisis and consequences for South America [online] Available at: https://www.moodysanalytics.com/-/media/web-assets/microsites/2018/economic-model/2018-06-15-venezuela-crisis.pdf [Accessed 13 Dec. 2018]. As you walk down the aisle at your local grocery store you might start to notice that your usual 20 bucks don’t stretch as much as they use to. So, instead of consuming unnecessary goods you’ll simply buy what’s needed. Now you have a zero-tolerance budget on what you can spend and as prices go higher your consumption habits go down. That’s what tariffs do, they complicate your life, which, eventually, hits your country’s economy. What was meant to be a positive measure to increase national production, is, in reality, affecting medium size businesses, your wallet and the economy as a whole. The financial crisis that hit the world 10 years ago has created a growing disbelief towards current structures and is now feeding this monster called Populism, which fears globalisation and free markets. However, to go back to an isolated economy is pure ignorance, since it downplays how incredibly and irreversibly connected the world is. It all started with solar panels and washing machines, when President Trump decided to begin 2018 with safeguard tariffs against imports from China (Bown and Kolb, 2018). From then it has only derailed, from an outside perspective it can be seen as a back and forth discussion that could potentially be resolved, but instead is threatening peoples’ livelihoods. In April The White House released a statement accusing China of stealing US’s intellectual property and threatened to impose tariffs on $50 billion imported Chinese products (The White house, 2018). On the next day China responds by publishing a list of $50 billion worth of American products that would have a tariff of 25% (Bown and Kolb, 2018). After this response, Trump wanted to add tariffs on $100 billion products and started a war with the world by imposing tariffs on steel (Bown and Kolb, 2018). All I can envision in my dizzy confused brain is two partners screaming at each other “Oh yeah Mister. Well, I’m going to do this. How do you like that! ?” It ultimately ended with one partner screaming at the top of his lungs that he would take it to the extreme and charge a rate of 10% on $200 billion worth of products. Which would in January 2019 turn into 25%. 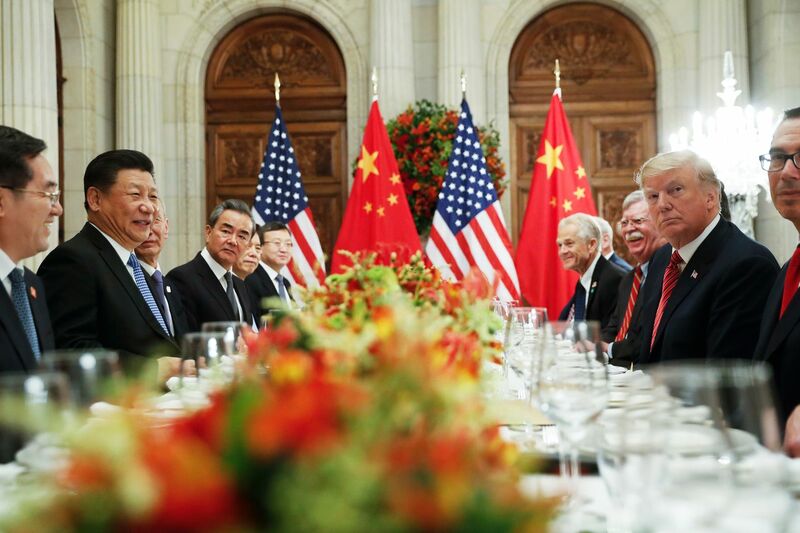 Leaving the Chinese partner looking scared and astonished as he only had imposed tariffs on $60 billion worth of products (Bown and Kolb, 2018). China in 2016 represented 7.97% of US’S total exports (WITS, 2018), while they represent 18.39% of China’s total exports (WITS, 2018). Therefore, there’s an unbalanced trade relationship. Besides, it’s a well-known fact that China never played by the rules. That is how they have achieved economic success. As the President of the US, you want to solve this. Nonetheless, by imposing tariffs you are only creating more damage. Other ways must be found and that is why global cooperation/negotiation are the key. Backlash from these trade measures were especially felt by Soybeans producers, since China is the biggest consumer of Soybeans it made sense that their retaliation would tackle this $12 billion export. This affected deeply Midwestern farmers who saw their clients turning to Brazil as a supplier (Meyer, 2018). Tariffs started as a way to tackle US’s unemployment and increase the consumption of national products. Mr Trump needs to understand that production exceeds domestic consumption, which makes a large number of American producers rely on exports as their income. Furthermore, China has been used by the States to do finishing works to originally made America products, with tariffs it only increases its final costs. Leaving American producers/sellers to either take the hit of the costs, so that can stay competitive in the global market, or increase their products’ prices and loose competitiveness. In the recent 2018 G20 meeting both Presidents agreed on a 90-day truce in which both countries will implement agreed measures and start an open discussion on their future economic relation (The White House, 2018). This deal brought some needed stabilisation. Nevertheless, it seems unlikely that this is the beginning of the end for this Trade War. Especially, after the ground-breaking news of Huawei’s CFO arrest in Canada on behalf of the US, only a few days after the deal (Financial Times, 2018). This added tension to an already fragile relation. These pressures are constantly being reflected on stock markets through irregularities. After Huawei’s events the S&P 500 fell 2.3 %, its worst since March (Shellock, 2018). In the mists of all these disputes, the WTO has been receiving countries complains to investigate the US (Baschuk, 2018). This organisation can be the vehicle to handle such disputes that will always emerge, its importance cannot be underrated. Nevertheless, it’s in need of a reform to help strengthen its power (Capling and Higgott, 2009). Trading conflicts between countries pose a threat to the global economic system. So, it’s everyone’s concern that this dispute finds its settlement. With globalisation at its finest and populism rising, uncertainties emerge on whether we’re at a regression point. Which is normal to happen after years of a sudden growth followed by an economic crisis which brought stagnation. There’s no doubt that this unsustainable capitalistic system in place is failing. The world desperately needs to innovate its establishments. But, returning to memory lanes won’t help. Instead, let us create new sustainable and global lanes. Martinez Monsivais, P. (2018) President Donald Trump with China’s President Xi Jinping during their bilateral meeting at the G20 Summit, in Buenos Aires, Argentina on Dec. 1, 2018. Available at: https://www.rollingstone.com/politics/politics-news/trump-china-trade-deal-762420/ (Accessed/downloaded: 7 December). Bown, C; Kolb, M. (2018) ‘Trump’s Trade War Timeline: An Up-to-Date Guide’, PIIE, 1 December. Available at https://piie.com/blogs/trade-investment-policy-watch/trump-trade-war-china-date-guide (Accessed: 7 December). The White House (2018) Statement from President Donald J. Trump on Additional Proposed Section 301 Remedies. Available at: https://www.whitehouse.gov/briefings-statements/statement-president-donald-j-trump-additional-proposed-section-301-remedies/ (Accessed: 7 December). Lynch, D and Rauhala, E (2018) ‘Trump pushes back on fears of a trade war with China’, The Washington Post, 4 April. Available at: https://www.washingtonpost.com/world/asia_pacific/china-fires-back-at-trump-with-tariffs-on-106-us-products-including-soybeans-cars/2018/04/04/338134f4-37d8-11e8-b57c-9445cc4dfa5e_story.html?noredirect=on&utm_term=.acde107fb831 (Accessed: 7 December). WITS (2018) United States Exports By Country and Region 2016. Available at: https://wits.worldbank.org/CountryProfile/en/Country/USA/Year/LTST/TradeFlow/Export/Partner/all/ (Accessed: 7 December). WITS (2018) China Exports By Country and Region 2016. Available at: https://wits.worldbank.org/CountryProfile/en/Country/CHN/Year/LTST/TradeFlow/Export/Partner/all/ (Accessed: 7 December). CNN BUSINESS (2018) Explaining a US-China ‘trade war’ with soybeans. Available at: https://www.youtube.com/watch?v=00cCDWzU6UI (Accessed: 7 December). Meyer, G. (2018) ‘Chinese importers resume purchases of US soybeans’, Financial Times, 13 December. Available at: https://www.ft.com/content/f418b1ea-fe6d-11e8-aebf-99e208d3e521 (Accessed: 13 December). Shellock, D. (2018) ‘Trade war concerns keep US stocks under pressure’, Financial Times, 7 December. Available at: https://www.ft.com/content/2cda1c8a-f9be-11e8-8b7c-6fa24bd5409c (Accessed: 10 December). The White House (2018) Statement from the Press Secretary Regarding the President’s Working Dinner with China. Available at: https://www.whitehouse.gov/briefings-statements/statement-press-secretary-regarding-presidents-working-dinner-china/ (Accessed: 7 December). The editorial Board. (2018) ‘Donald Trump makes Huawei CFO Meng Wanzhou a bargaining chip’, Financial Times, 12 December. Available at: https://www.ft.com/content/cccf5fe2-fe1f-11e8-ac00-57a2a826423e (Accessed: 13 December). Baschuk, B. (2018) ‘Europe, U.S. Escalate Trade War with New Disputes at the WTO’, Bloomberg, 18 October. Available at: https://www.bloomberg.com/news/articles/2018-10-18/wto-members-request-an-investigation-into-trump-s-metal-tariffs (Accessed: 7 December). Capling, A, Higgott, R. (2009) ‘The future of the multilateral trade system: what role for the World Trade Organization? Global Governance, vol. 15, no. 3, p. 313-326. Available at: https://heinonline.org/HOL/Page?collection=journals&handle=hein.journals/glogo15&id=319&men_tab=srchresults (Accessed: 7 December). This blog will briefly cover discrimination in the workforce and how this could prevent or negatively impact an individual’s right to be employed. This can be read as an extension to another blog I have written ‘Declining Unemployment Rate – Too Good to be True’ otherwise it is a blog that is perfectly capable of being read on its own. In the modern day, there are laws and regulations that employers must abide by when it comes to hiring employees in order to protect workers from being discriminated against in the workplace. They vary from country to country depending on where you are from. For example the United Kingdom (UK) government’s page states that the UK law can protect you from being made redundant, dismissed and whether you are recruited or not due to discriminatory factors (GOV.UK, 2018). Other forms of discrimination a British citizen would also be protected from under the law are: promotion; transfer opportunities; wage; benefits; and employment terms and conditions, with exceptions of discrimination in instances similar to ’employing only women in a health centre for Muslim women’ (GOV.UK, 2018). Despite all these laws to protect one from being unfairly treated in the workplace, discrimination still and will occur to happen unless we get rid of ridiculous biases and or/ stereotypes that prevent us from seeing someone’s potential to contribute and offer new skills to a workforce. A frequently and largely discriminated against group are young people who can be often categorised with unskilled or more commonly known as low-skilled workers, another group that is largely discriminated against. In relation to employment, these groups are often seen as less desirable and have the worst performance and can and are usually discriminated against by being given poorer wages in comparison to their older and more experienced colleagues also doing the same work. Additionally, young and/or low-skilled workers are more likely to be subjected to a higher job insecurity and an increased job strain as opposed to their ‘better’ counterparts OECD, 2016). It is suggested that young people are discriminated against to such a high degree that in the 1990s when unemployment dropped significantly, young people still found difficulty in being employed and continued to be marginalised to the workforce (Fevre, 2011). Women are another prominent group that faces heavy discrimination what with the large pay gap between men and women doing the same job roles as I’m sure you all know. When you pit a man and a woman against one another in a battle of intelligence, most people whether consciously or unconsciously will presume the man to be smarter. But whose fault is this? And can you be blamed for thinking that when it has been ingrained in our heads that men are the key thinkers, the breadwinners and the Einsteins of the world? Girls as young as six years old are not exempt from this way of thinking as a study suggests that young girls ‘can be led to believe men are inherently smarter and more talented than women’ (Fortune, 2017) in fact young and highly impressionable minds are where it all tends to begin. Within the law, it can be clearly written that discrimination should not take place in the workforce and penalties should be enforced to ensure that any and unfair inequality is quashed. Not only should discrimination be eradicated from the labour force but outside of it too, there is no need and no room for unnecessary discrimination in society. If we could solve this problem then we would also effectively deal with workplace discrimination: killing two birds with one stone. I like it. Fevre, R. (2011) ‘Still on the scrapheap? The meaning and characteristic of unemployment in prosperous welfare states’. Work, Employment & Society. 25(1), pp. 1-2. Fortune (2017) Girls start believing men are smarter than women as early as 6 years old. Available at: http://fortune.com/2017/01/27/girls-believe-boys-smarter-young-age/ (Accessed: 14 December 2018). GOV.UK (2018) Discrimination: your rights. Available at: https://www.gov.uk/discrimination-your-rights/discrimination-at-work (Accessed: 14 December 2018). OECD (2016) New data show importance of quality as well as quantity of jobs and how both evolved during crisis. Available at: http://www.oecd.org/employment/the-crisis-has-had-a-lasting-impact-on-job-quality-new-oecd-figures-show.htm (Accessed: 08 December 2018).